LDAP is the light weight directory access protocol used by Microsoft Active Directory, OpenLDAP and Novell eDirectory, to name a few. OPNsense can use a LDAP server for authentication purposes and for authorization to access (parts) of the graphical user interface (web configurator). When using LDAP for the GUI the privileges have to be defined with the local user manager, to do so an import of the users from the LDAP source is required. 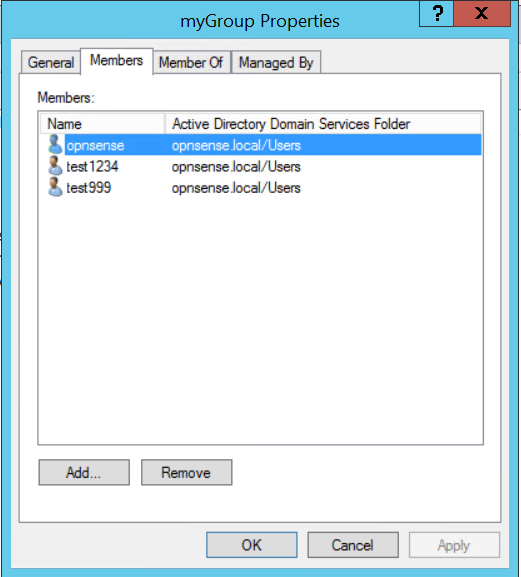 In this how-to we will show you how to configure both using Microsoft Active Directory Server. If you only need LDAP for services like vpn, then you can skip step 3-5. A functional LDAP server (example is based on MS AD) is required. 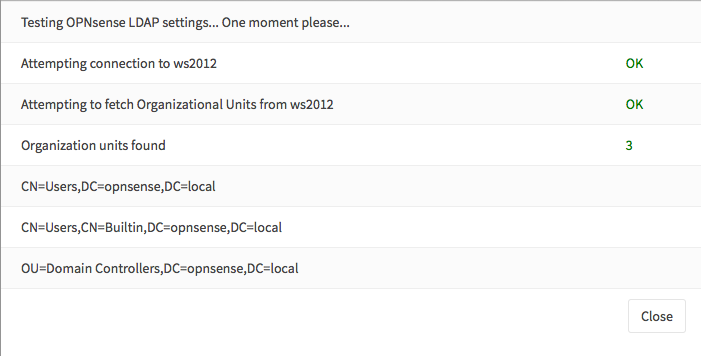 You OPNsense firewall need to be fully configured and able to access the LDAP server. To add a new LDAP server as authentication source, go to System ‣ Access ‣ Servers and click on Add server the top right corner, just above the form. The Extended Query can be used to select users who are member of a specific group. One can use something like this: &(memberOf=CN=myGroup,CN=Users,DC=opnsense,DC=local) to select only members of the group “myGroup”. To add a user to a specific group under Windows just edit the groups properties and select Add… to add the user under the tab Members. When limited to just one group, the group name will not be shown in the listing. If you would like to give LDAP/Active Directory users access to the GUI, you need to import the users into the local user manager. Go to System ‣ Access ‣ Users you will see a cloud import icon at the lower right corner of the form. Click on the cloud import icon to start importing users. A new form will be show with the individual users, select the ones you like to import. Now if you go to System ‣ Access ‣ Users you will see all users including the newly imported ldap users. You can create a specific group for these users to easily manage the privileges or use one of your earlier created groups. See Creating Users & Groups for more information on User, Groups and privileges. Now we have configures, verified and imported the users from our LDAP server, we need to change the default settings to allow LDAP users to login. Go to System ‣ Access ‣ Settings and change the Authentication Server from Local Database to your newly created LDAP server. Leave the fallback on Local Database and click on Save and Test.